WASHINGTON: A senior US envoy — Principal Deputy Assistant Secretary of State Alice G. Wells — is scheduled to visit Pakistan next week to explore the possibility of a permanent peace in Afghanistan, official sources told Dawn. US Defence Secretary Jim Mattis told Pentagon reporters on Monday that he saw encouraging signs for substantive talks between the government of Afghanistan and the Taliban after 17 years of war. Secretary Mattis noted that the Eid ceasefire initiated by Afghan President Ashraf Ghani had also “cut deep into the Taliban. We’ll see how this goes forward". Last week, US Secretary of State Mike Pompeo also offered to discuss with the Taliban their demand for the withdrawal of US and international forces from Afghanistan, adding that Washington would “support, facilitate and participate in these discussions”. 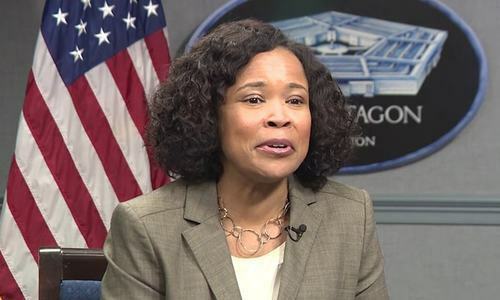 Earlier this month, Ms Wells — who looks after South and Central Asian affairs — told a congressional panel that Pakistan had “an important role” and “legitimate interests” in Afghanistan, which “it wants to ensure are met during any peace process”. 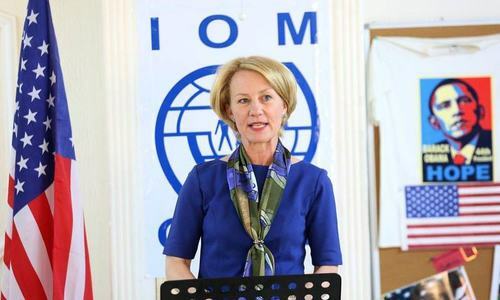 Ms Wells, who previously served at the US Embassy in Islamabad, has visited the Pakistani capital several times this year, mostly as a troubleshooter for talks on issues of immediate concern. But her next visit is of a different nature and reflects the Trump administration’s desire to engage the Taliban in peace talks. If the talks fail, Washington may launch a major military offensive against those who refuse to talk. Taliban leader Haibatullah Akhunzada said earlier this month that the Taliban were not against peace talks and wanted to meet American officials without involving the Afghan government, a condition Washington rejected. And this is where the Trump administration sees a role for Pakistan, persuading the Taliban to talk to the Afghan government. “The dialogue that we have with Pakistan seeks to address those concerns while also encouraging additional concrete support for Afghan peace efforts,” Ms Wells told the House Committee on Foreign Affairs. Diplomatic observers in Washington argue that it’s the recognition of the Durand Line as an international border that strengthens the US demand for Pakistan to stop the alleged cross-border attacks into Afghanistan. 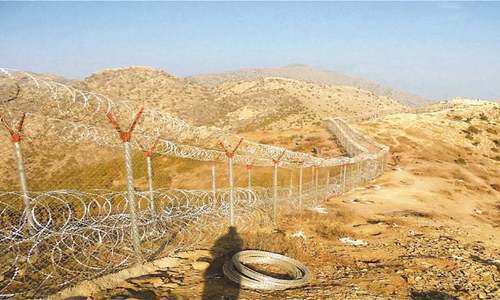 “If there’s no international border, how can they insist that Pakistan should ensure nobody crosses it,” said one such observer. Keep trying, it will fail. Dear peace, rest in peace in Afghanistan. Amen. Someone please explain to me why is Pakistan dragged into something that was started by USA. And we know Afghanistan is not a friend of Pakistan so how does one expect them to accept Pakistan as peace brokers. These white-devils bring chaos and death wherever they go. Also why is Pakistan being pulled into USA's war-games?